Now that the weather is finally starting to warm up, I finally get to ditch my down goose coat and snowboots in favor of gear that doesn’t make me look like the Michelin Man. However, with less clothing comes more skin – and skin is only in if it looks tight and toned. 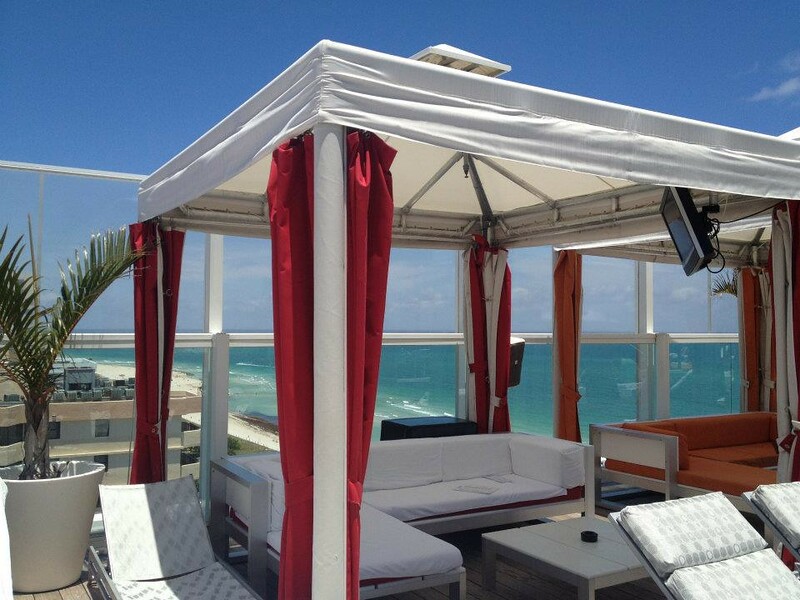 As I prepare for my upcoming business school “field trip” to Miami, I want to make sure I blend in with my warm weather scenery down South – as in the slim and trim people, and not the various blubbery ocean mammals. Therefore, I’ll be relying on these Better For You meals and snacks that I have recently discovered to help me in my journey. PROBAR CORE packed 20 grams of plant protein and plenty of real, recognizable ingredients into this 290 calorie bar. And it does more than build your strength – it boasts chia seeds for hydration and recovery too. 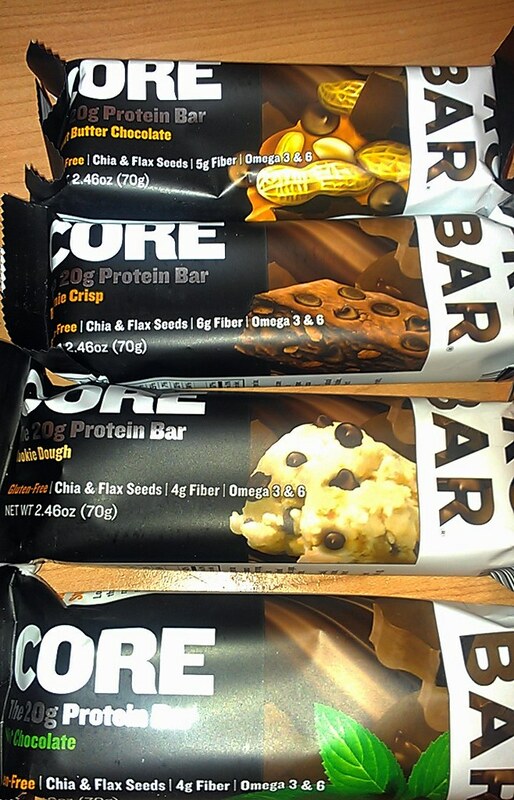 With flavors like Cookie Dough, Peanut Butter Chocolate, Mint Chocolate and Brownie Crisp, CORE is definitely one of the best-tasting protein bars I've ever eaten. Available in three delicious flavors (coconut, peanut and crunch), the new Balance Bar Dark bars taste great and are one of the first nutrition energy bars to feature eco-friendly Rainforest Alliance Certified™ cocoa. These bars are high in protein, certified gluten free, an excellent source of antioxidants, certified kosher dairy and contain 4 grams of fiber per serving. 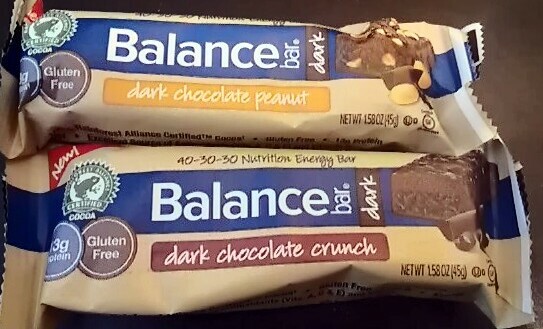 As with all Balance Bar products, the new 180 calorie Dark line follows the 40-30-30 nutrition principle – a proven formula developed by scientists to help stabilize blood sugar levels that represents the caloric ratio the body needs to enjoy lasting balanced energy and satisfy hunger for longer; 40% of total calories from carbs, 30% from quality protein and 30% from dietary fat. 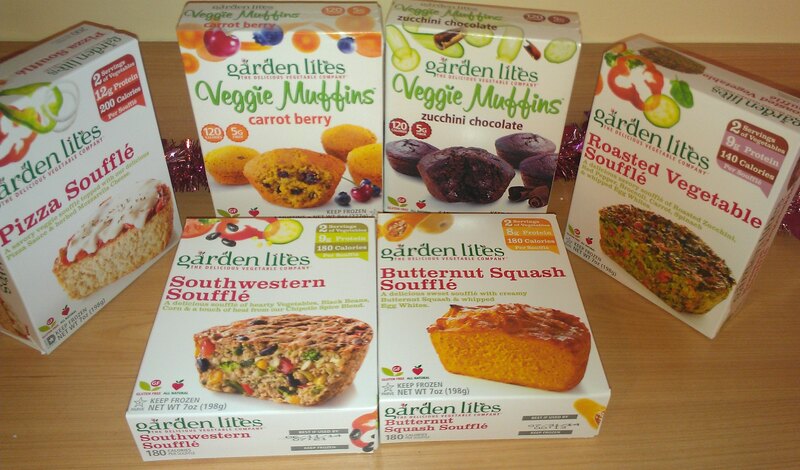 As “The Delicious Vegetable Company” Garden Lites offers innovative vegetable dishes that provide nutritious convenience. Their vegetable soufflés are the perfect mini meal - fit for a hearty breakfast, light lunch or dinnertime side dish. Each soufflé contains two full servings of veggies and 200 calories or less! The new Veggie Muffins line is made of 1/3 fresh veggies and can be eaten on the go. Just defrost and enjoy or heat them for 30 seconds and you’ll have a moist, decadent treat. With only 120 calories per muffin, it has become my new everyday indulgence. Coffee is a staple in any MBA student’s diet (I mean, how else are we supposed to get to our 9am classes after raging hard the night before?). So even though I overindulge on the caffeine IV, I feel better using So Delicious’ Barista Style creamers. 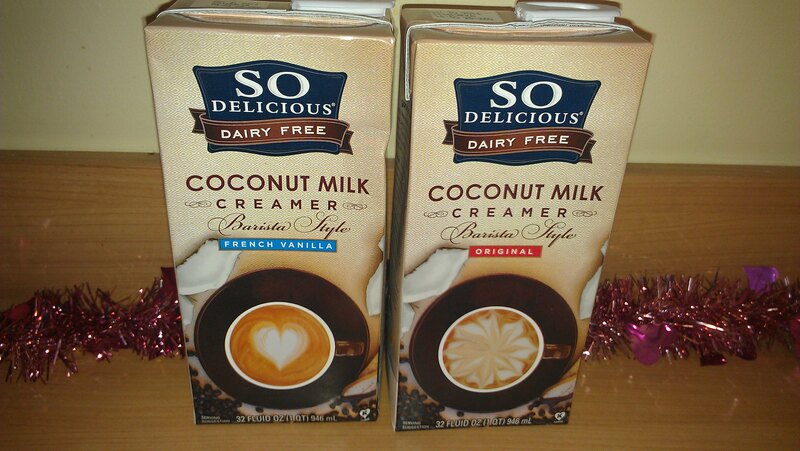 These soy and gluten free creamers are made with organic coconuts and available in two delicious, all-natural flavors - Original and French Vanilla. And, with less sugar, I can lighten up my morning coffee without compromising on taste. The Original Barista Style Coconut Milk Creamer has only 1 gram of sugar per serving and French Vanilla has 4 grams per serving. And, they are made with organic coconuts, contain no trans fats, artificial sweeteners or high fructose corn syrup. Like coffee, alcohol is also another staple to any MBA student’s diet. But how to get that warm buzzy feeling without getting fatty? Answer: Low calorie liquor (Did you think I was going to say abstinence? Perish that thought!) Smirnoff Sorbet Light creates an array of incredibly delicious cocktails – so good, you would never guess that each vodka specialty is only 78 calories per 1.5 oz. serving. 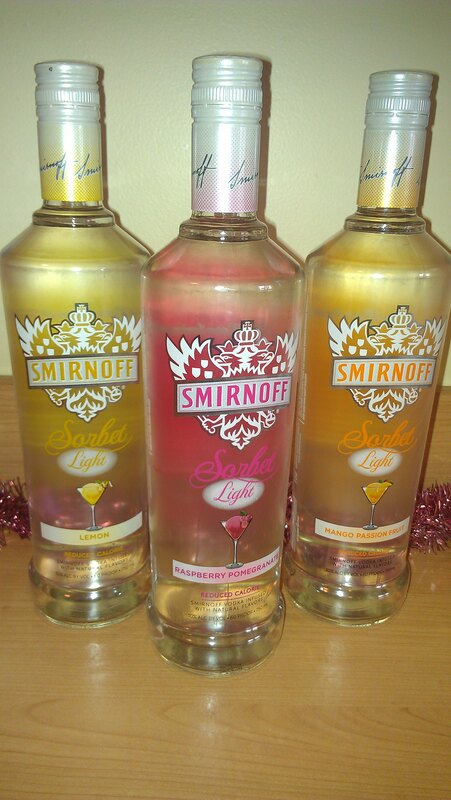 Infused with the natural, refreshing flavors of fresh-tasting berries, tart pomegranates, luscious mangos, juicy passion fruits and zesty lemons, Smirnoff Sorbet Light is available in three sorbet-inspired flavors: Smirnoff Sorbet Light Raspberry Pomegranate, Smirnoff Sorbet Light Mango Passion Fruit and Smirnoff Sorbet Light Lemon. This new guilt-free variety adds irresistible flavor for lighter tasting cocktails that don’t call for any sacrifice. Balance Bar, in partnership with Finance Foodie Media, wants to help one lucky reader get a jump start on their summer beach body by giving them a box of new Balance Bar Dark bars (+ some other fun eco-friendly goodies!). 1. REQUIRED: Like & /or follow Balance Bar on Facebook & Twitter (leave separate comment telling me this). Also please include your email address so I can contact you if you win! Contest ends Friday, April 12, 2013 at 5pm EST. Winners will be chosen via random integer generator on random.org announced on the financefoodie.com site shortly afterwards!! Full Disclosure: One winner per household, email address or home address. If you have won this prize on another blog you are ineligible to win again.